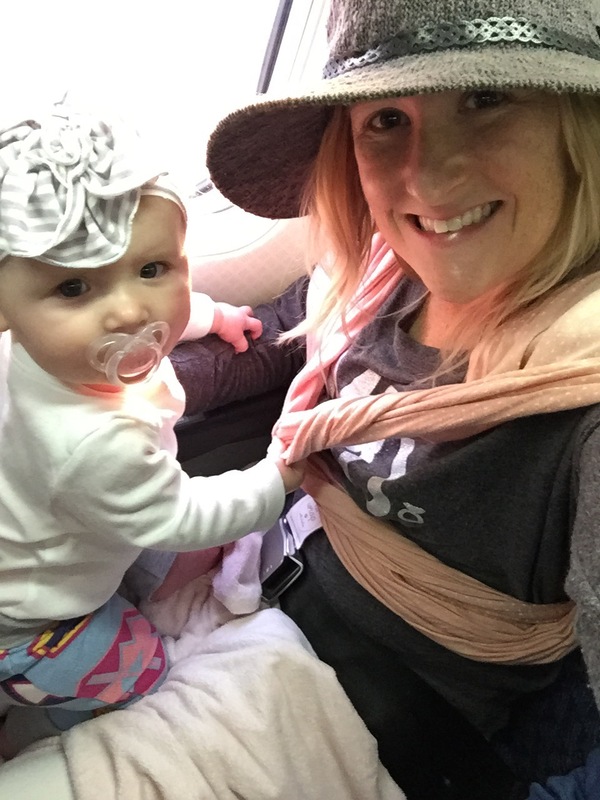 Traveling with Zoe and Tips for traveling with a baby. This last weekend I had a work trip to Miami, so I brought Zoe and my husband with me. I had to… Showing Zoe Sobe was a must. Plus, when I went to training, Zoe had daddy/daughter time. On the 2/19 Zoe turned 6 months old and had a lot of first moments. 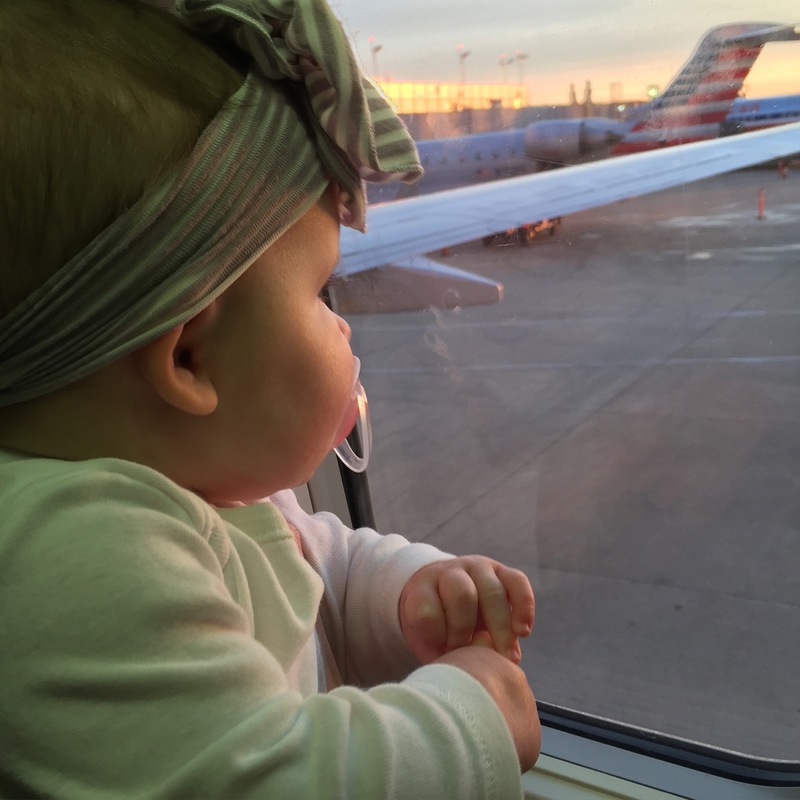 It was her first air plane ride. She did really well on the plane. Once the plane started moving she started to dose off. She slept stretched out on my lap for the first full hour. For the next hour, I kept her entertained by standing her up, playing with toys, singing her favorite songs. 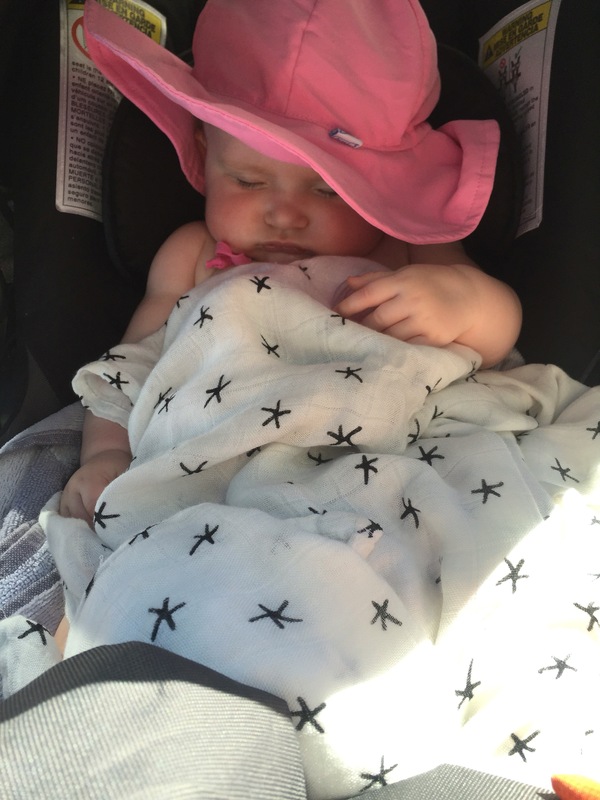 She went to Sobe and took her first ever beach nap. It was just a short cat nap, but the salty breeze felt so good. 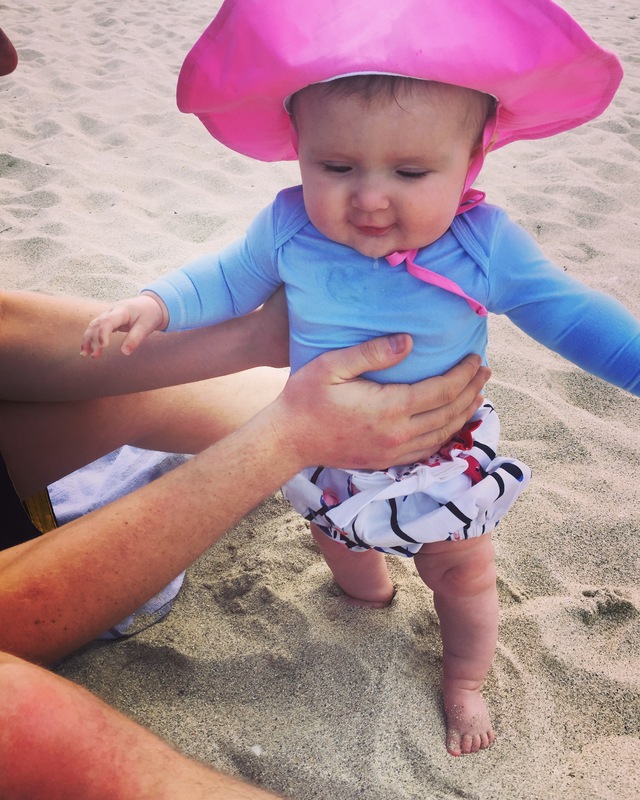 I definitely have a beach baby on my hands. She felt the sand in between her toes for the first time. She loved it. She saw the ocean, for the first time. It is a very special thing to see things again for the first time through your baby’s eyes. Zoe looked out at the ocean, all the way to the horizon, so big and mysterious. She felt the wet sand between her toes as salty waves crashed at her feet. I’m hoping she’ll love the water. She is sitting up better and better. She slept in a hotel for the first time. 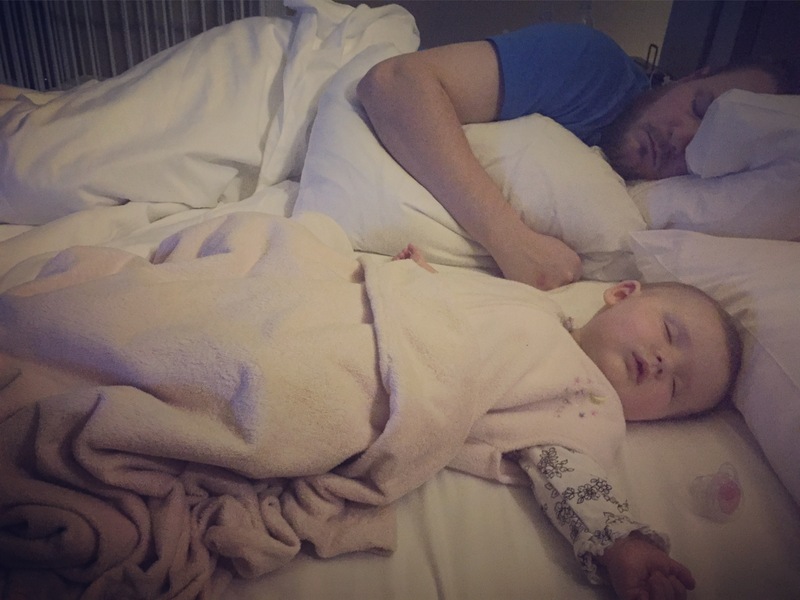 Because we do NOT cosleep with Zoe, I later transferred her to a crib the hotel provided. We have the lotus bassinet by guava family. It is a travel bassinet, however my husband didn’t want to bring it. 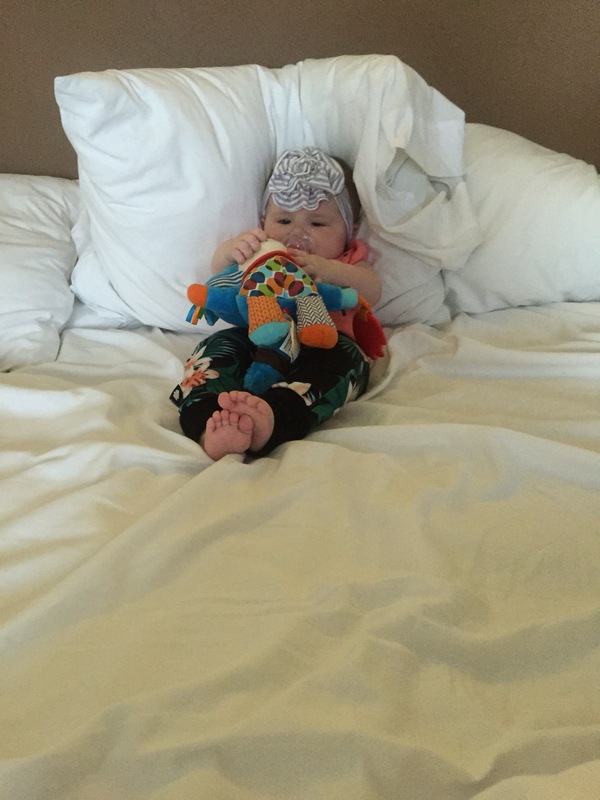 I was nervous at first that she wouldn’t be comfortable in the hotel crib, but she had no problem at all. She was so busy during the day that once she got in the crib she crashed and slept through the whole night. Zoe is a really good sleeper and can fall asleep anywhere. She is use to using different cribs because my mom has a crib at her house and we have her crib at our house, and she easily sleeps in both. So that may be another reason why she had no problem with the hotel crib. She went in a swimming pool for the first time. She was a little unsure about the pool. She never cried though, so I take it as a success. I want to get her in the pool more often so she gets use to it and thinks it is fun. I learned how to swim at a very young age. I actually don’t remember a time when I didn’t know how to swim. I want that for Zoe. The pool and sun was so relaxing it put sweet Zoe to sleep. Zoe’s first trip was a successful one. 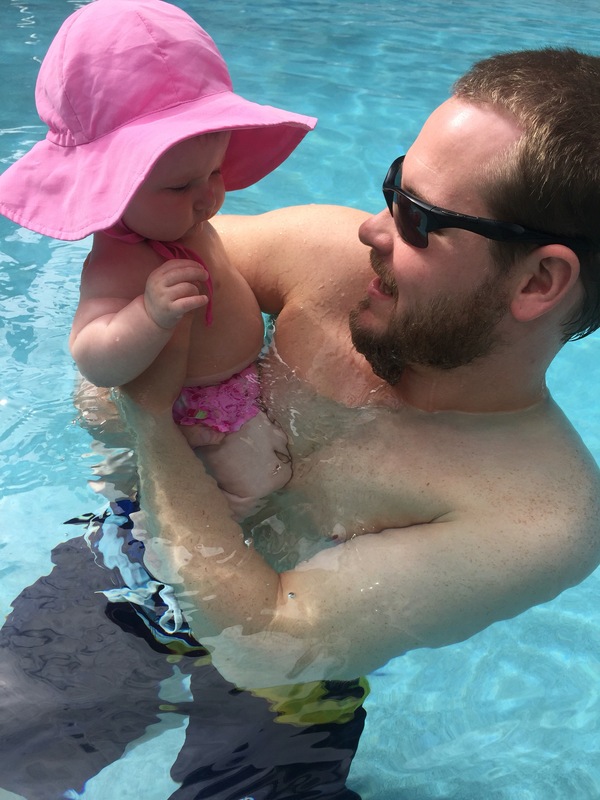 However, there were some things that we learned about traveling with a little one. 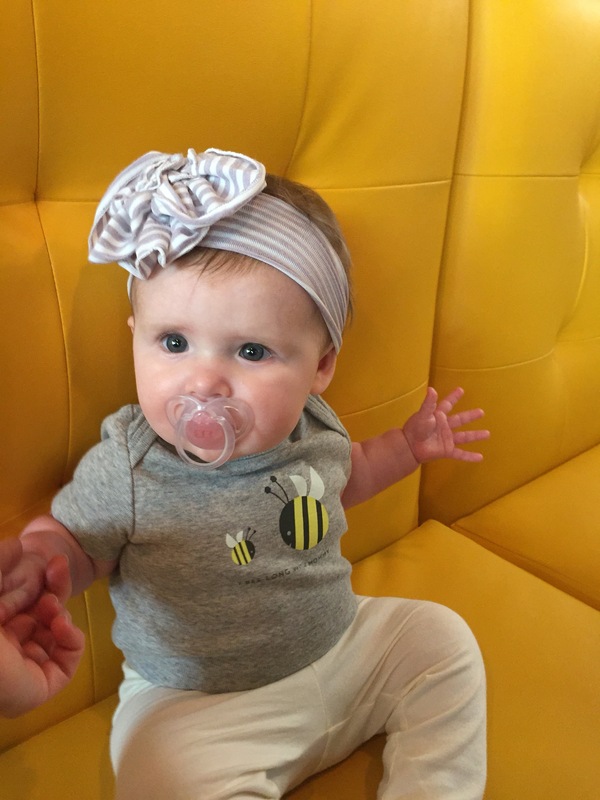 So if you are traveling for the first time with your baby consider these tips, learn from our mistakes. 1) The airlines may not be consistent from one airport to the next. We flew with American Airlines. On the way to Miami, we were at DCA, they checked our bag with no additional charge and they let us bring our stroller through security telling us to check it at the gate when entering the plane. We had no problems. When we left Miami, heading home, the nightmare began. Our bag was 7 lbs over weight which meant we had to pay $150 to check it. Wow, so my bag basically needed a plane ticket. Then when we went to go through security, TSA told us we had to check our stroller at the counter because it was a running stroller and weighed over 20 lbs. We talked to a supervisor and they sided with TSA. So we checked our stroller for free and I baby wore Zoe in her Sakura bloom ring sling, praying and hoping our stroller would make it to our finaldestination in good condition. It also took up a lot of extra time. Thank goodness we arrived at the airport early. 2) Packing: If you are going to check your bags, consider bringing two separate bags or one bag with and additional carry on bag tucked inside to use later in case the bag is over weight. I always check my bag, always. I hate lugging around a bag through the airport. I also hate worrying about my hair products, skin care products, and make up being the proper size. So now that I have a baby, I’m carrying her diaper bag, so there is no way I want additional bags at my side. However, we brought one big bag that held my stuff, my husband’s stuff, and my baby’s stuff. The thing we didn’t consider was it being over weight on the way back. Next time we are planning to bring a carry on bag tucked inside so that if we are over weight we can remove some items and put it in another bag. So we only have one stroller. We have the BOB running stroller and I absolutely love it. I use it for everything. However, that is my personal opinion. I have friends who have purchased a smaller stroller for everyday errands and only use the Bob for walks, runs, and hikes. I never knew that American Airlines would make us check our stroller because of its weight and size. And although it is free to check, when checking it you risk the chance of it not getting to the destination or getting damaged. I also was lucky that Zoe is only 6 months and I could easily babywear her, so we didn’t absolutely need the stroller. 4) When traveling with a baby always arrive to the airport earlier than you think you should. I was very thankful we got to the airport 2 hours earlier. Even though we had a problem getting through TSA with our stroller and had to back track to check it. We never felt rushed and we had plenty of time. Always leave enough time, babies can be unpredictable. 5) Always travel with baby bottle and milk/formula. If you are traveling with breastmilk or premixed baby formula, TSA will test the liquid to make sure it is what you say it is. However, the best thing for baby’s ears is swallowing milk at take off and at landing. Zoe uses a pacifier so the constant sucking helped her ears as well. 6) Always bring baby carrier, wrap, or ring sling. I am all about baby wearing. I brought my solly baby and my sakurabloom ring sling. It was fun to baby wear Zoe through out the airport, and whenever Zoe is in her sakura bloom she falls asleep-sleepy dust. 7) Bring you baby bag with all the necessities. Especially- change of clothes, extra diapers and wipe, extra milk/bottle, extra pacifiers, pacifier cleaning wipes, books, toys, favorite blankets. Zoe loves blankets, so we brought her favors ones. Air planes can be very cold, so blankets keeep babies comfortable and cozy warm. Books and toys are important to entertain your baby when they get bored. We used lots of pacifier cleaning wipes because Zoe’s pacifier kept falling on the floor. Always being an extra set of clothes just in case your baby gets wet or dirty. Anyway, I’m pretty impressed at how well Zoe did on our first trip. 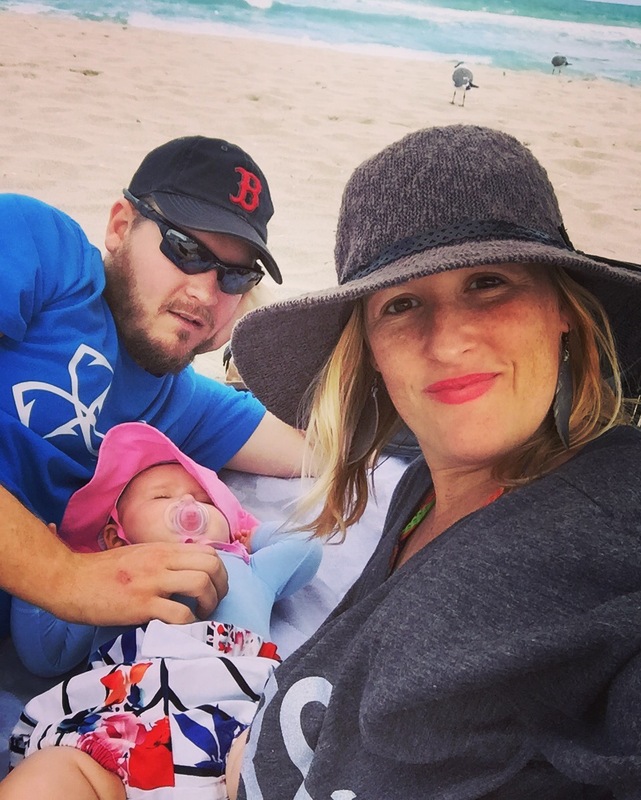 I hope what I wrote above will help you when you travel next with your baby. And always remember because of society we have a fear of being the parents with the crying screaming kid, but sometimes we don’t give our babies the credit they deserve and they end up pleasantly surprising us. My hope is that the more I travel with Zoe the more use to it she’ll be, and it will just get easier for the both of us. 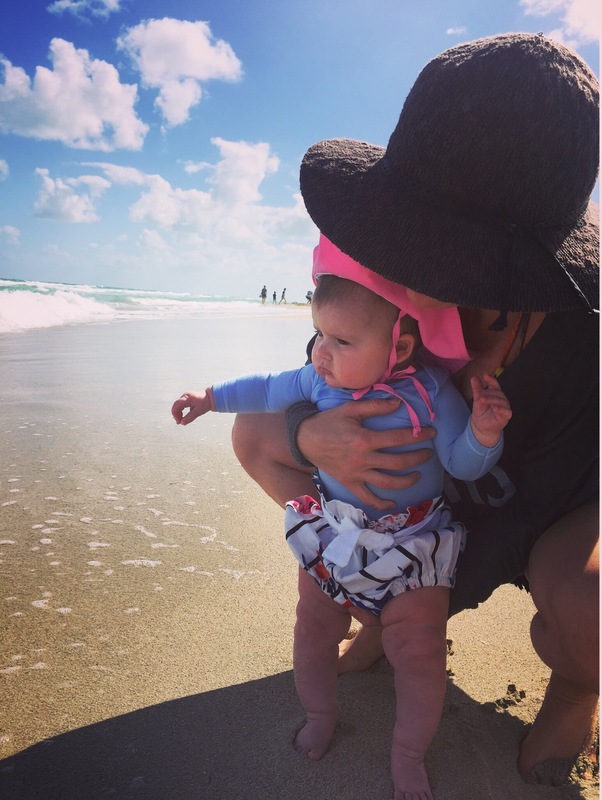 Happy Mama, happy baby, happy travels! 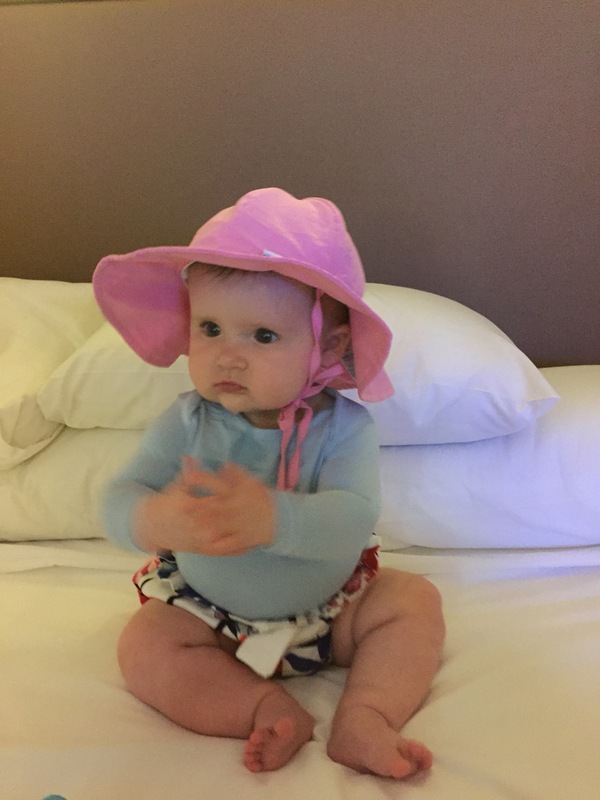 Do you have a fun travel experience involving a baby?